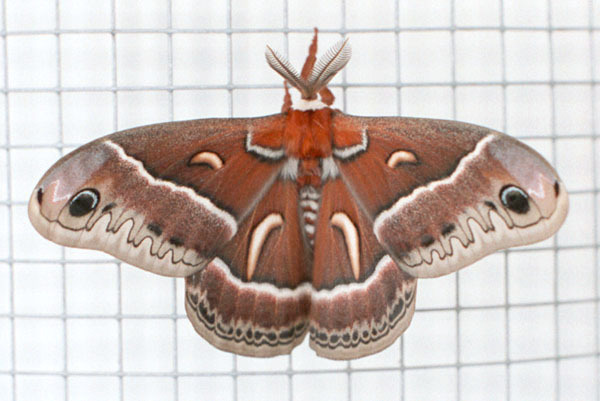 This image shows a female cecropia on the left, a male hybrid in the middle and a male euryalis on the right. They are shown at their relative sizes. I raised 38 hybrid caterpillars in 1997. 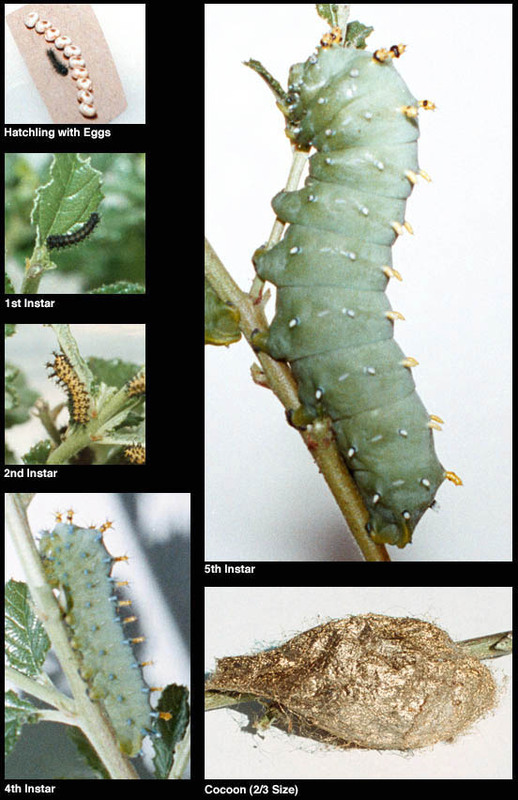 This series of photos shows the hybrid caterpillar from newly hatched to full grown. The 3rd instar caterpillar, missing from this series, is very similar to the 4th instar caterpillar. These caterpillars were fed on Ceanothus and spun cocoons with a beautiful gold sheen. Hybrids fed on other plants spun dull cocoons. The photo gives some idea of the golden color. This photo shows an adult male a few hours after eclosure. All the moths were very similar but varied in the amount of red on the wings. Some were more gray like cecropia.